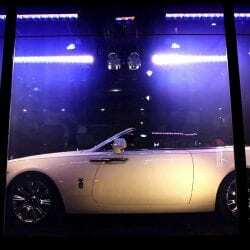 Self-adhesive switchable smart film from Intelligent Glass featured in the high-profile reveal of the new Rolls Royce Dawn Drophead Coupé. Creative agency JUSTSO covered the windows of Harrods London, one of the most exclusive advertising spaces in the world, with switchable smart film to create a very special launch experience. 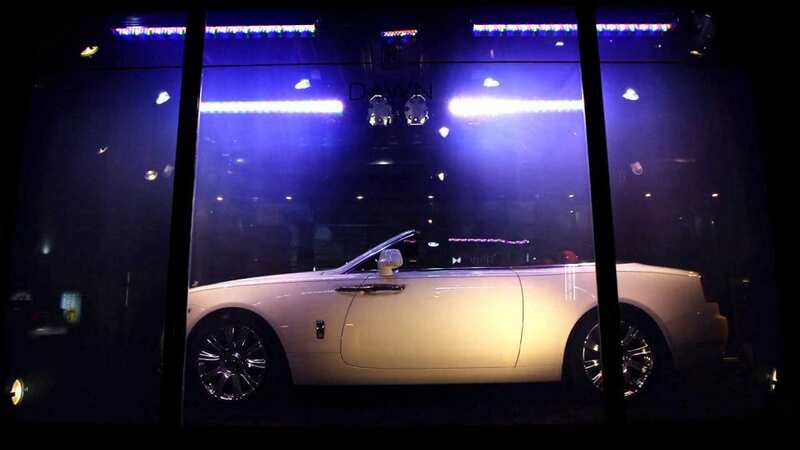 Intelligent Glass supplied its self-adhesive switchable smart film to creative design agency JUSTSO (www.justso.eu) for the launch of the new Rolls Royce Dawn Drophead Coupé at Harrods London. 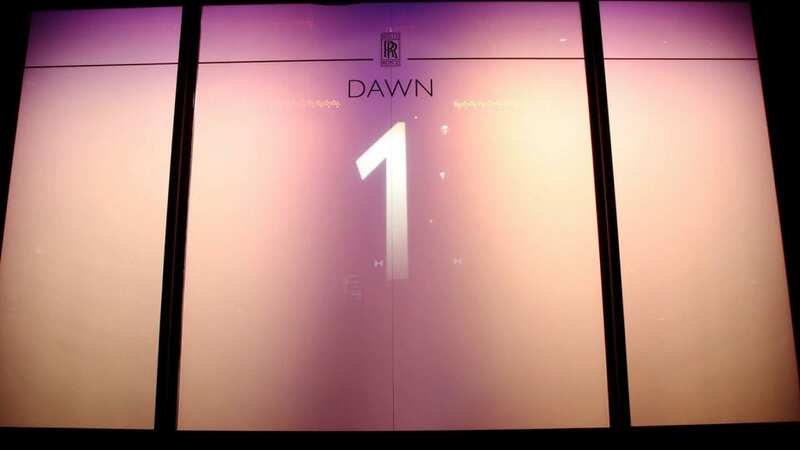 The windows of the world’s most luxurious retail store were fitted with switchable smart film, projected onto with a tension-building countdown every three minutes, then slowly turned from frosted to clear to reveal the Rolls Royce Dawn. The installation took place out of hours to avoid any impact on daytime trading at Harrods, and was expertly handled by Invicta Window Films (www.invictawindowfilms.co.uk). 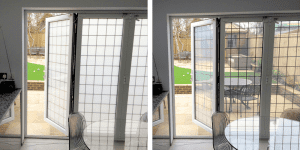 Invicta, a long-established specialist window film and manifestation firm, has worked with Intelligent Glass for more than five years and has developed a particular affinity with switchable smart film projects. After winning the Rolls Royce brief, JUSTSO immediately began by exploring how the external windows of Harrods could be used to physically create ‘a new Dawn’ for people to watch. 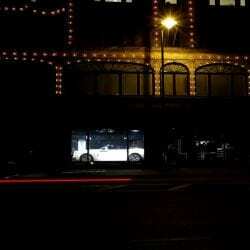 It found the answer in a technology that it had used before: switchable smart film. The big challenge was to deploy switchable smart film the size of the ground floor windows at Harrods, an area far larger than JUSTSO’s earlier installations. Also, the concept of ‘a new Dawn’ led to the idea of projecting sunrise images onto the smart film while at the same time smoothly shifting its opacity from frosted to clear, whereas previous projects had only switched clear instantly. Intelligent Glass’s switchable smart film was able to meet the project requirements on all counts. In its frosted state it makes an excellent high definition surface, it’s available in sheets up to 1200mm wide and 3000mm long, and the outstanding switching reliability of the smart film enabled JUSTSO to keep the film fading gradually from frosted to clear, repeatedly throughout the day. Four large sheets of smart film were precision cut to the dimensions of the windows at Harrods and shipped to Invicta for installation, along with a single transformer and remote control switching system. Applying smart film to existing glass is simple in principle, yet exceptional skill is required for larger areas. The window at Harrods totalled more than ten square metres, and Invicta's expertise with smart film ensured that the end result met the standards expected of one of world's most exclusive and recognisable locations. 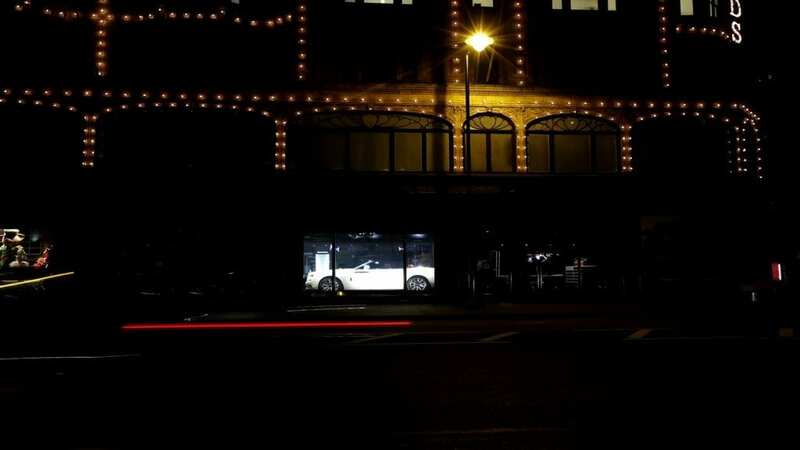 During the Christmas 2015 period, the intriguing countdown was projected onto the window, attracting passers-by and building anticipation of the big reveal. 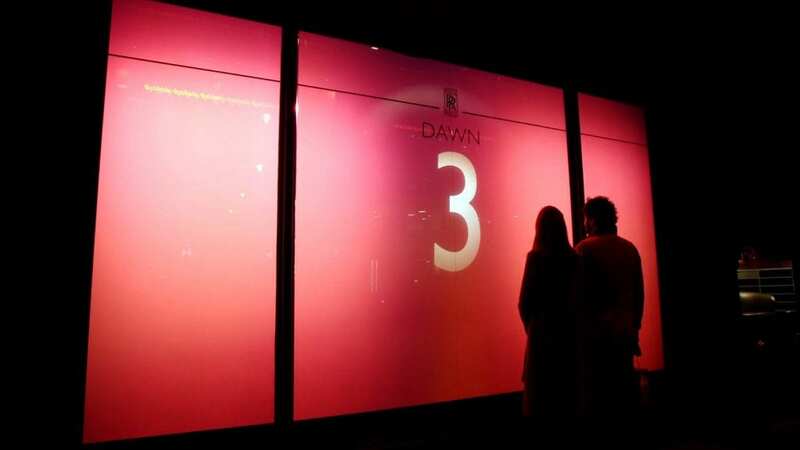 Crowds gathered regularly outside the window as the countdown ended, watching the smart film turn smoothly from frosted to clear, revealing the Rolls Royce Dawn behind the glass. 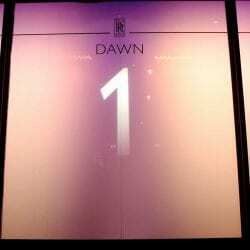 Then the windows gently frosted, darkened and the countdown to another new Dawn began.